The final home game of the season saw Widnes defeat third placed Coventry to keep alive their play off hopes. A sizeable crowd saw Wild take a first minute lead . After a couple of snap Coventry shots, Shaun Dipnall broke away down the right before feeding Filip Supa (in photo left) who crashed a shot past the helpless Connor Ranby. Within minutes further Wild attacks saw them rattle the crossbar twice. In an end to end game, Coventry fought back to equalise, a low shot from the right beating Greg Ruxton in the 11th minute. Within minutes Wild were reduced to 3 skaters after Calum Ruddick appeared to have his stick held in the Widnes end. A well focused defensive effort from the home side kept the score level and as both sides returned to full strength Widnes went ahead. After sustained pressure, a half hit defensive clearance found Ben Brown in front of goal. His shot beat Ranby to give Wild a 2-1 lead at the first interval. The vital third goal came in the 28th minute when Bobby Caunce took a Filip Supa pass on the left and fired home. A period of sustained Coventry pressure followed and only the bravery and agility of Greg Ruxton prevented a Coventry score. A second Coventry goal did come in the 29th minute, in somewhat controversial circumstances. After sustained pressure on the Widnes net, Rhys Gillatt eventually forced the puck home at the left hand post with a Coventry attacker appearing to be in the crease. Coventry immediately changed their netminder, Chris Gill replacing Ranby. Greg Ruxton made several further vital saves as the second period came to a close. With the teams closely matched, the next goal was always going to be vital and both sides battled to score. A blistering shot from the left from Chris Preston was kept out by Gill. Widnes went two goals clear in the 52nd minute when big Aled Roberts, standing in in defence fired a high shot from the left. A wicked deflection off a Coventry defenceman saw the puck fly past Gill. After a brilliant stretching leg save from Gill, Bobby Caunce gave Widnes an unassailable 5-2 lead . His low shot from the left went under Gill and into the bottom corner. Again , Filip Supa was the provider. Then came the goal of the night in the 57th minute, with Filip Supa hitting a remarkable high shot from the boards on the left and the power taking the pucking high over Gill's shoulder. 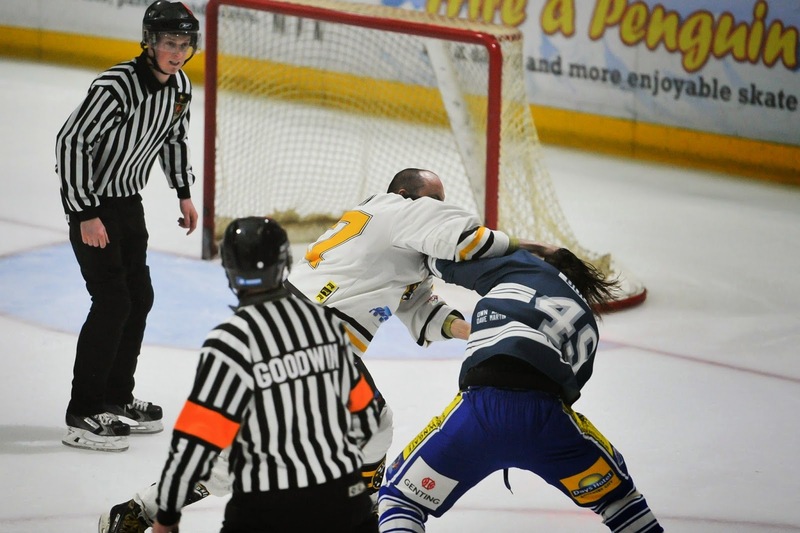 Amidst scenes of elation the game boiled over and Blaze's Dale Buckland and the Wild's Chris Preston went toe to toe. The altercation brought the crowd to its feet and chants of 'Widnes, Widnes' rang out from the stands. Filip Supa added a seventh goal and as the game drew to a close, further fighting broke out as a high stick saw MVP Dan Bracegirdle have teeeth loosened and a cut to the mouth. This highly impressive victory keeps Wild in play-off contention. A victory in the final re-arranged game in Hull next Saturday will see Wild taking on the formidable Solihull Barons in the play-off weekend. Wild have taken victories from every team in the league apart from the champions, Solihull. The game in Hull takes place at the Hull Ice Arena. It is easily accessed via the M62 and its extension, Clive Sullivan Way, to within two hundred yards of the rink. The game faces off at 17.00. 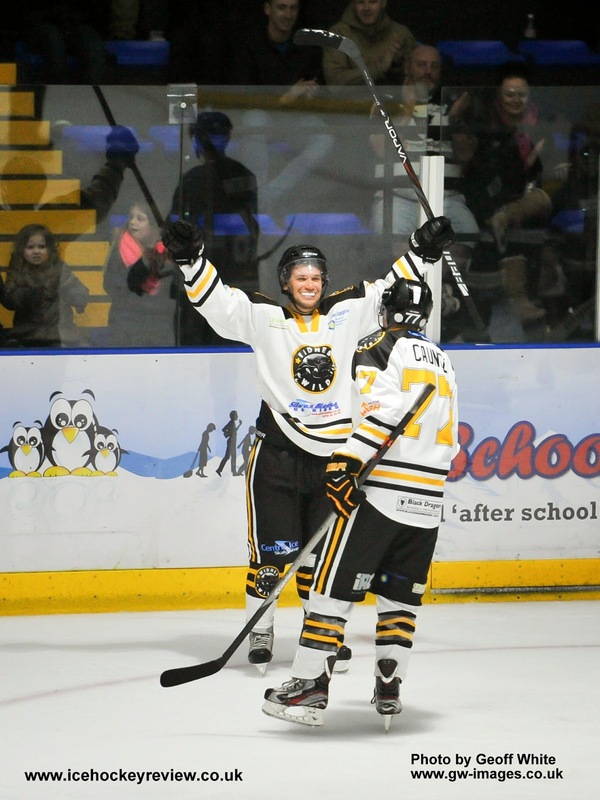 Sunday's game saw an interval display from the Widnes Wild Under 10 team. They hope to be accepted into the Northern League set up for next season. Any youngsters wishing to start playing the game are welcome to train. Full details are available from the Silverblades Ice Rink. Orders are now being taken for season tickets for 2014-15, offering early discounted prices and reserved seats behind the player benches. Order forms are available from the rink. The Wild also held a 'Meet the Players' event at Tesco Widnes on Saturday. Wild fans both young and old were able to meet their favourite Wild players, test their hockey skills and enter a number of competitions. The event raised £165 for When You Wish Upon A Star.